Century Mold is a leading North American injection molder who services the Automotive industry. Parts manufactured by the company can be found on all major OEMs such as Ford, GM, Chrysler, Toyota and Nissan. Between these major car companies and many others, CM has parts on over 75% of light vehicles and heavy duty trucks manufactured in North America. Century Mold has grown to seven locations within the USA and Mexico. 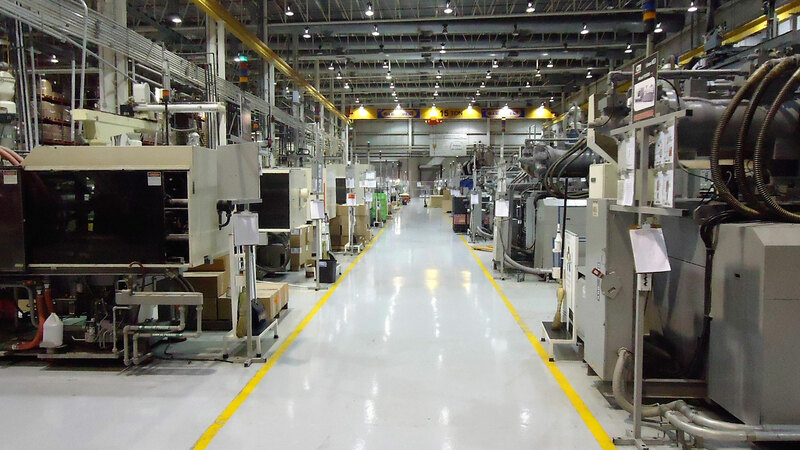 With over 600,000 square feet and 150+ injection molding presses, the company continues to invest in the latest technology to keep up with customer needs. Click here for a brief video about Century Mold. As a privately held company, Century Mold is flexible and reacts quickly to the needs of its customers and employees. More specifically, its competitive advantages include its logistically friendly footprint, material purchasing power, scalability of infrastructure, solid financial stability and access to capital. Its manufacturing resources include injection molding presses ranging in size from 60 tons to 2200 tons, CMM capabilities at all locations, value added assemblies and services, in-house mold build capabilities, and relationships with North American and LCC tooling vendors for other mold builds. As an IATF-16949 certified company, Century Mold meets all the requirements of the Automotive industry. Quality is a must in order to compete in this market. Century Mold has proven time after time it can meet the quality expectations of new programs as well as take on distressed molds from other suppliers for our customers. Whatever the need is, Century Mold has a solution. Century Mold is a stable company that values its employees and encourages work/life balance. Explore our job listings and find the perfect fit for you at Century Mold.